Very strong adhesive tape ideal for sticking things to wood and concrete surfaces. 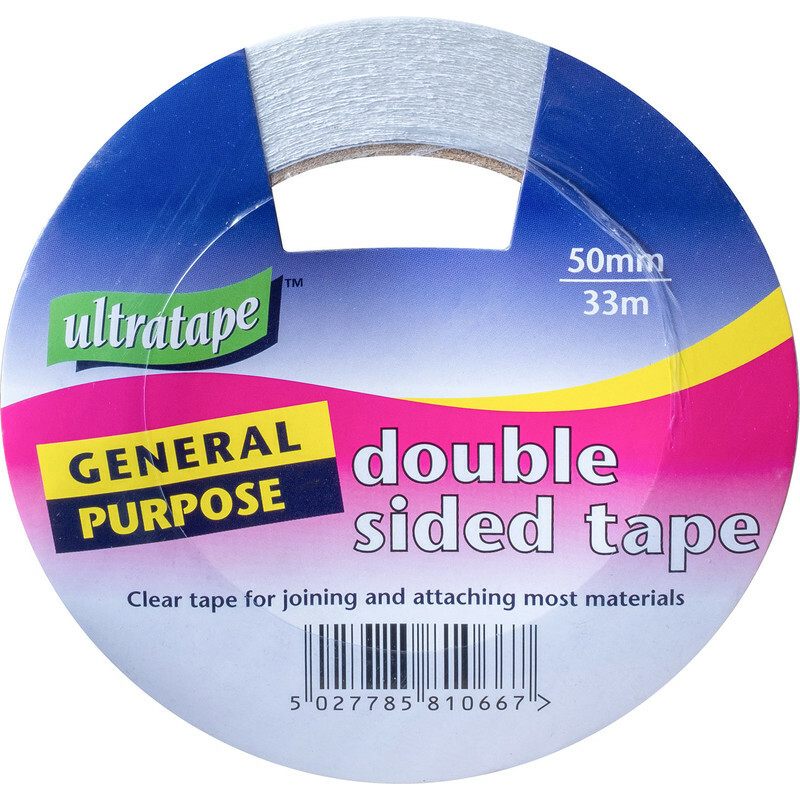 Double Sided Tape 50mm x 33m is rated 4.5 out of 5 by 27. Rated 5 out of 5 by Dreddybo from This is a strong adhesive tape, Used this to fasten down carpet tiles in my living room over a laminate floor which allows them to slip. It's holding them nicely. Rated 5 out of 5 by Mickywill from Great tape This is a very good tape at a very reasonable price well done again Toolstation. Rated 4 out of 5 by Harsh from Good item For small DIY purpose. But not fit for large jobs. Rated 5 out of 5 by John Durham from Excellent ! Good quality, good price, does the job no problem.